Councilwoman proposes bill to keep some Philly bars open till 4 a.m.
Beer taps at Fado Irish Pub, 1500 Locust St.
Philadelphia City Councilwoman Blondell Reynolds Brown on Thursday proposed a bill to generate funding for schools by permitting some bars to stay open until 4 a.m. The legislation comes in response to Mayor Jim Kenney's proposed six percent property tax increase, an onerous measure intended to close the nearly $1 billion deficit that plagues the School District of Philadelphia. Reynolds Brown, who holds an At-Large City Council seat, has proposed amending the Philadelphia Code to allow bars in "Extended Hours Zones" to remain two hours later than allowed now. Bars would be able to obtain permits to extend their hours. “Education is the single biggest indicator of success for children and youth and the greatest deterrent from crime," Reynolds Brown said in a statement. I"n this day and age of budget shortfalls and declining education funding, we must think of nontraditional creative solutions, think outside the box and exhaust unconventional avenues of revenue." City Council would not be able to approve the change on its own, but Reynolds-Brown said Thursday she has been working with Pennsylvania state Rep. Jordan Harris to create the legislation. The authority to designate extended operating hours comes from the Pennsylvania Liquor Control Board. 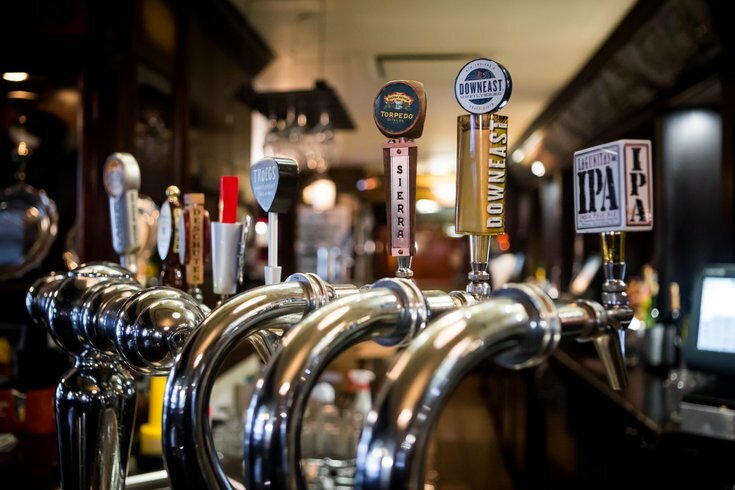 Any shift in Philadelphia's last call would be contingent on enabling legislation passing the state General Assembly in Harrisburg and the creation of a permitting system. Several major U.S. cities — including New York, Chicago, Miami and New Orleans — currently permit bars to remain open until anywhere from 3 a.m. to whenever the bar owner decides to close down. Philadelphia experimented briefly with extended hours for bars during the 2016 Democratic National Convention lifting the 2 a.m. last call at 28 select establishments that had received permits in advance of the multi-day event. Kenney's proposed property tax increases, including an 8.5 percent hike in the real estate transfer tax, seek to inject $980 million into the School District of Philadelphia over the next five years, with an additional $20 million in annual contributions from the city's General Fund. Reynolds Brown did not provide any revenue projections for her proposed bill and was not immediately available for comment Thursday afternoon.